When it comes to lip balm, these typically offer a wax base as a protective barrier. But popular EOS brand is debuting a brand new lip balm that is modern, slippery + see-through. And yes, it still comes in its adorable little pod, except this time, the pod is more oval than round. 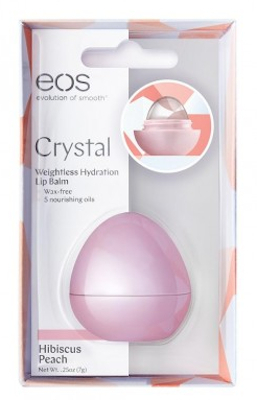 EOS Crystal is a lip balm that provides weightless hydration in a wax-free formula. And for $5, this is a great beauty buy. EOS is rolling out 2 flavors---Peach Hibiscus + Vanilla Orchid. The brand has been teasing the new launch at their Instagram. The see-through lip balm is infused with 5 natural oils----sunflower, coconut, aloe, castor and avocado. 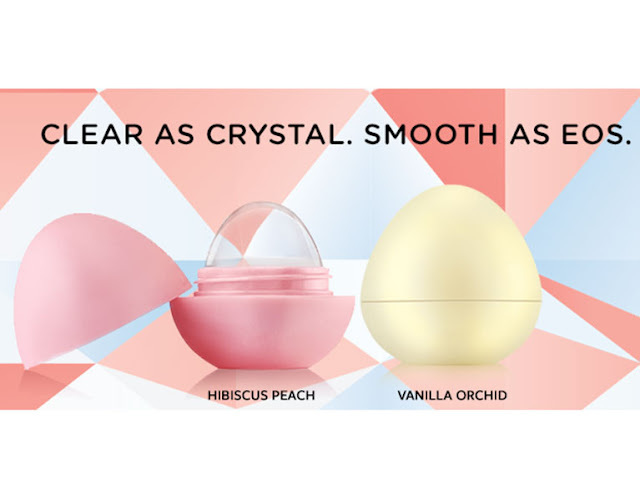 There is NO SPF in Crystal, but EOS fans can still find the protection with their Active collection. Check out stores like Walgreens, ULTA, CVS and Walmart to find them. Nearly naked lip balm---How COOL is that?